Essential oils Wellington can be found at 185 Jackson Street Petone, we have the same range of oils in our shop as we have on our website AromaSense.co.nz. So come and visit our essential oils Wellington store in the village of Petone – we’re only a 10 minute drive from the Wellington CBD. BUS: from Wellington to Petone you can catch either: the Airport Flyer, no. 81 or no. 83; Buses from Upper Hutt: no. 110 (goes through Lower Hutt); Buses from Nae Nae: no: 130 (also goes through Lower Hutt). TRAIN: trains from the Hutt Valley line and the Melling line stop at Petone Railway Station. Jackson Street is right across the road from the station so it’s only a 1 minute walk until you hit the first shop! PARKING: all Petone streets have FREE parking – Jackson Street (main street) does have free parking but times are limited. Parking areas are also behind Petone Library (entrance via Britannia St or Richmond St); Beach Street (opposite the Light House Cinema); or off Elizabeth Street. HISTORY: look at the plaques on some of the buildings, plaques along the Walk of Champions, and soak in the heritage as Petone is the home of NZ’s first English settlers and NZ’s first planned settlement! Jackson Street has events planned all of September – NZ’s Heritage Month. For more upcoming events on Jackson Street click here. 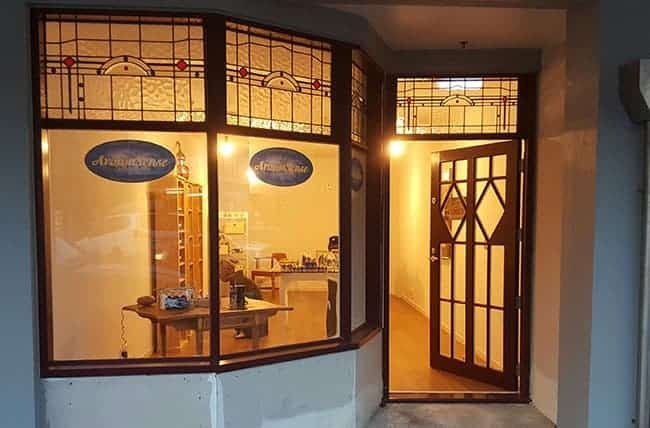 At AromaSense we offer you our natural products loaded with the ‘life force’ of pure essential and plant oils, and all that at our lovely shop at 185 Jackson Street Petone Greater Wellington.